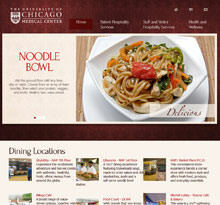 This HTML5 website was created as part of a food service proposal to UCMC in Chicago. 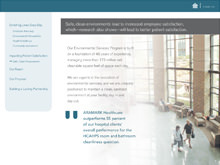 Other deliverables I was responsible for on this major pursuit proposal included an iOS (iPad and iPhone) app and custom binders and tabs. 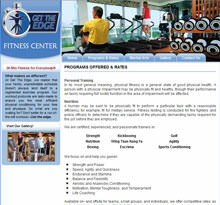 Created a website for local gym, Get The Edge, who realizes that your hectic, unpredictable schedule doesn't always lend itself to a regimented exercise program. 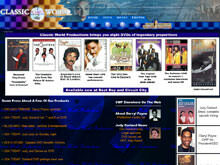 As Art Director of this vintage music company from 2004 to 2006, I revamped the website, designed album covers in Photoshop, and handled all general IT responsibilities. 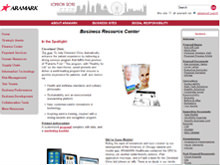 Principals in charge of the ARAMARK Business Resource Center wanted a PowerPoint alternative to celebrate the joining of both the Downers Grove and Philadelphia proposal centers, so I created this Flash site, which was well-received by corporate as well as all bands of upper management. 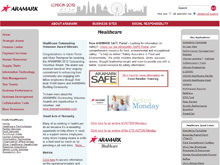 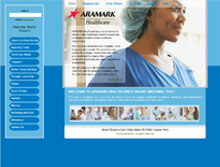 Designed the interface for this online tool whose purpose was a resource for internal teams to request ARAMARK Healthcare marketing and performance management materials. 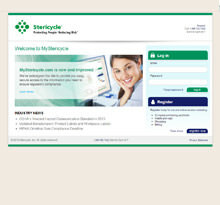 All available tools are listed in the left navigation bar of this screen, which is a jQuery floating menu. 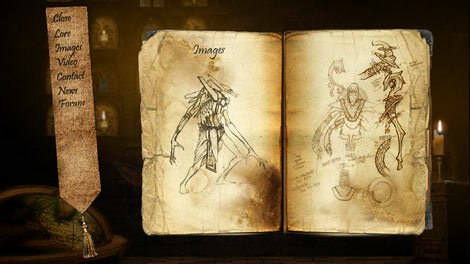 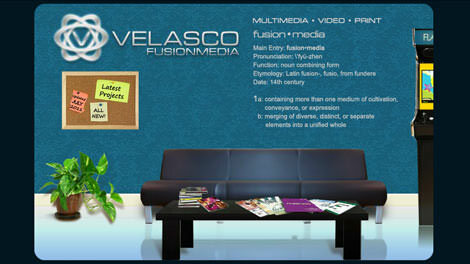 Flash website project for a DVD entertainment company specializing in martial arts actioners. 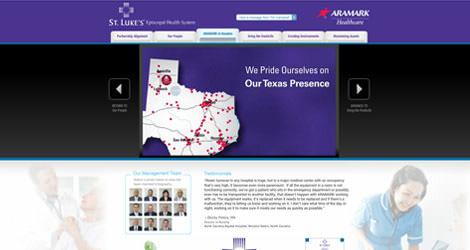 Developed a Flash website to augment an RFP response for this large hospital system in Texas that ultimately was the deciding factor in the client's decision to reward us the contract. 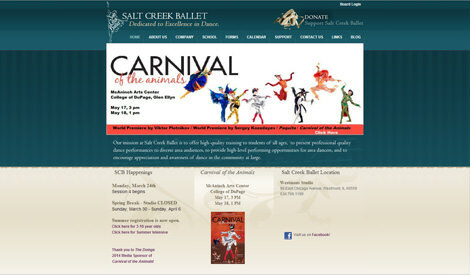 DotNetNuke website for a kids dance school in Westmont. 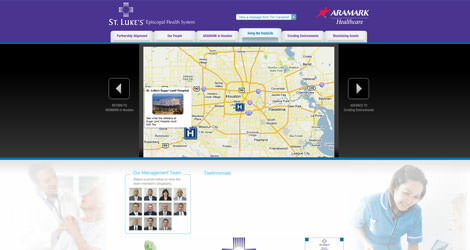 I also served as the Lead Web Content Editor for the internal Healthcare (aramark.NET) portal as well. 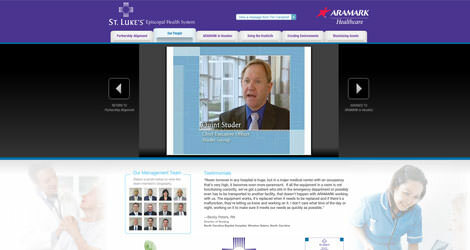 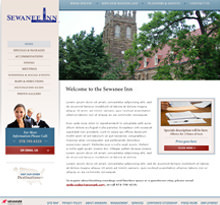 Worked with healthcare marketing team to build this Flash website using InDesign. 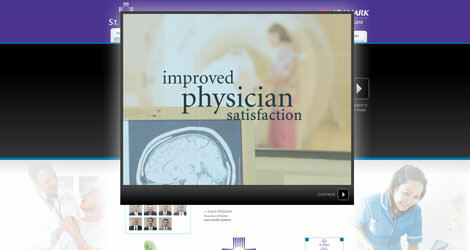 I implemented video and was even able to "fake" an interactive map using InDesign's Buttons feature.